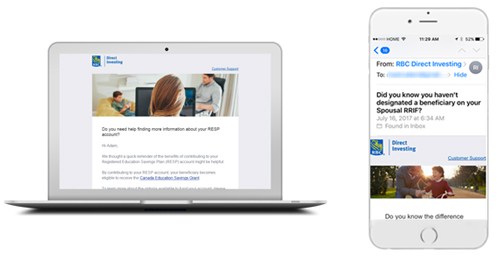 RBC Direct Investing is focused on growing financial literacy by supporting every Canadian investor who wants to build their knowledge and take direct control of their investments. We are doing this by providing innovative tools, research and learning resources. 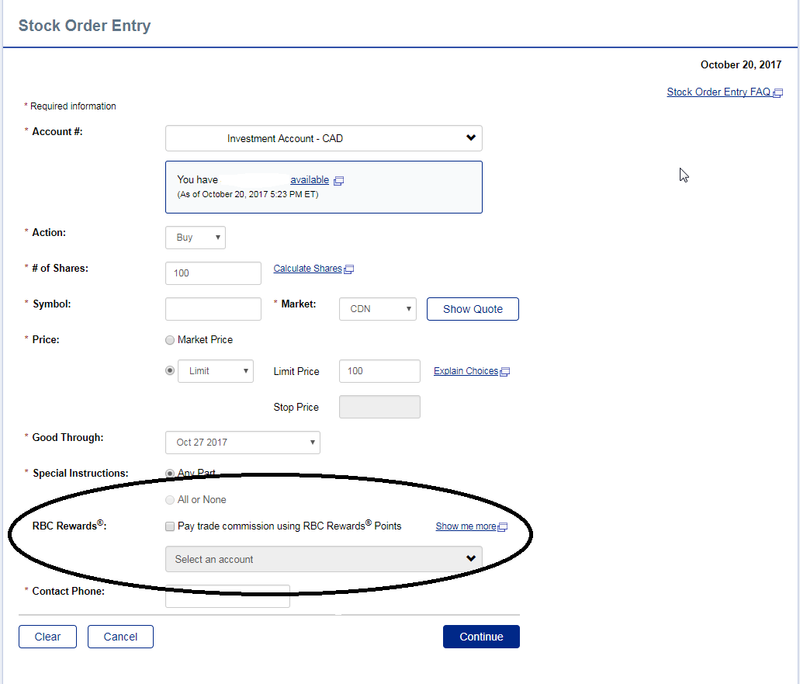 For 2017, below we have highlighted our innovative “Trade with Points” program and two features RBC Direct Investing introduced that focus on empowering and educating clients with relevant and meaningful information to support them through their self-directed investing journey. A first among Canadian online brokerages, Trade with Points has been well-received by clients. See below for visual examples of the Trade with Points experience. The goal of Notifications is to provide our clients with timely and relevant information – through email and in-site messaging –related to the account(s) they hold with us, to help them manage their portfolios, grow their investing knowledge and make more informed investing decisions. Clients can visit our Manage Notifications page to choose the types of notifications they wish to receive and add or change the email address where their notifications are sent. If clients choose not to receive any notifications, they will still get important updates related to the maintenance of their account. From this page clients can also conveniently manage their stock/market, Community and IPO alerts. At RBC Direct Investing, we believe that the more our clients know about investing, the better their decisions can be. We also believe that investing principles don’t have to be hard or overwhelming. That’s why we created Inspired Investor: A digital publication that offers smart ideas that help clients take control of their money through stories that connect. Inspired Investor is a client-focused content vehicle that provides engaging financial literacy. We publish twice a week, using storytelling and analogies, as well as event-related content, in order to connect with the client’s investment journey. In addition to helping people learn through stories and analogies, Inspired Investor articles link to how-to tools and resources to provide as many takeaways and opportunities for learning as possible. 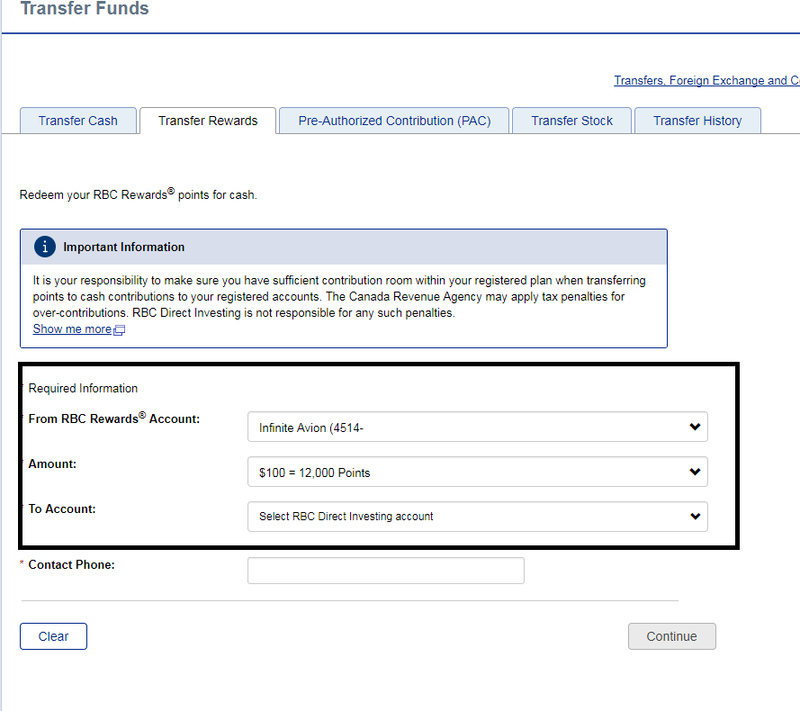 Further, to foster discussion, each article has a ‘Comment’ link to the secure online RBC Direct Investing Community, a social site where clients can share their investing thoughts and ideas with other members. Stayed tuned for more to come in 2018, as we continue to focus on supporting our clients in their investing journey and achieving their goals. To learn more about RBC Direct Investing, visit their website at www.rbcdirectinvesting.com or view our profile of RBC Direct Investing here.